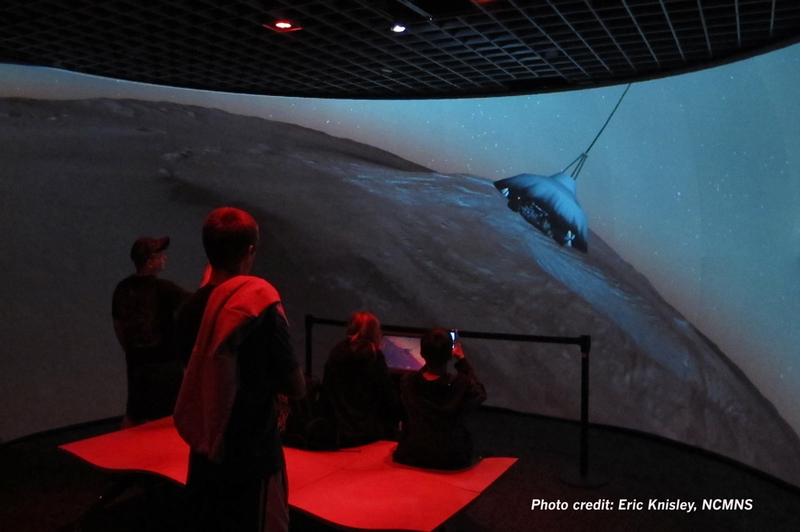 Visitors to the Nature Research Center at the North Carolina Museum of Natural Sciences (NCMNS) in Raleigh get to a jaw-dropping experience that Clark could only have dreamed of 25 years ago. 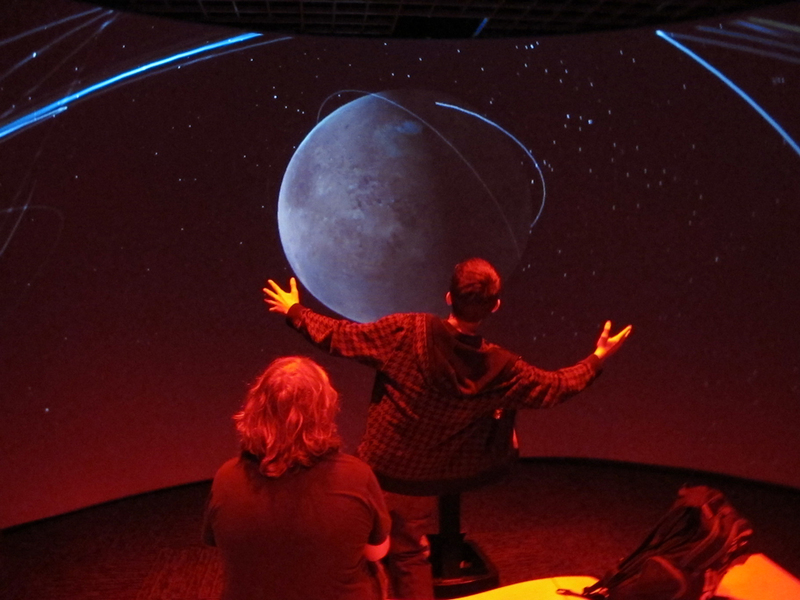 For over ten years Milwaukee-based immersive projection design company, The Elumenati, has been creating immersive environments for a range of artistic, commercial and educational clients. 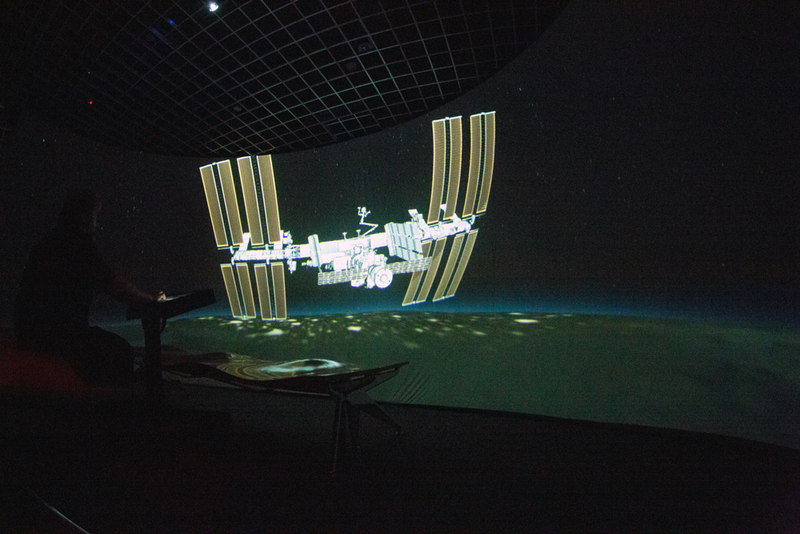 Clients in Earth and space science education include NASA, NOAA and leading science centers around the globe. 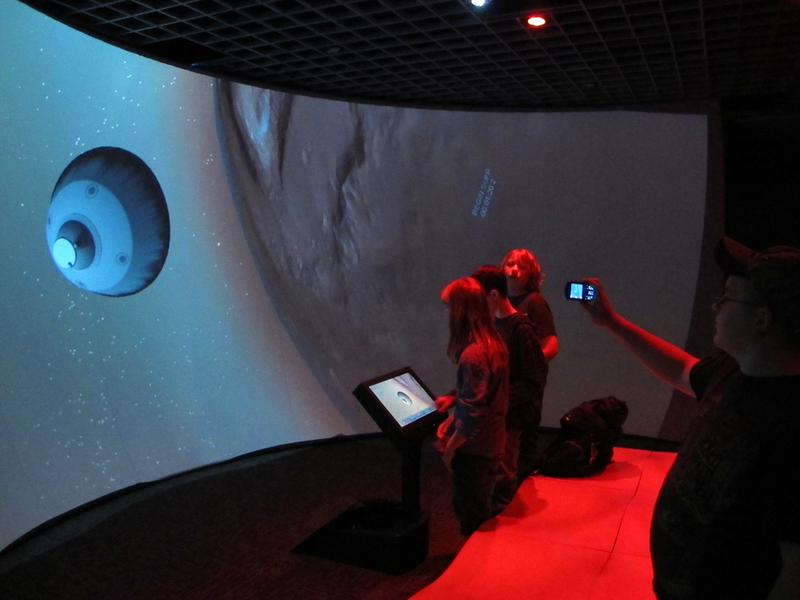 The team designed and deployed the Science Panorama exhibit at NCMNS, an immersive, interactive theater that projects high-resolution video content enabling visitors to “explore the solar system using real NASA mission data, and then come back to Earth to learn about ecosystems and natural beauty unique to North Carolina,” says Hilary McVicker, VP of Sales and Marketing at The Elumenati. 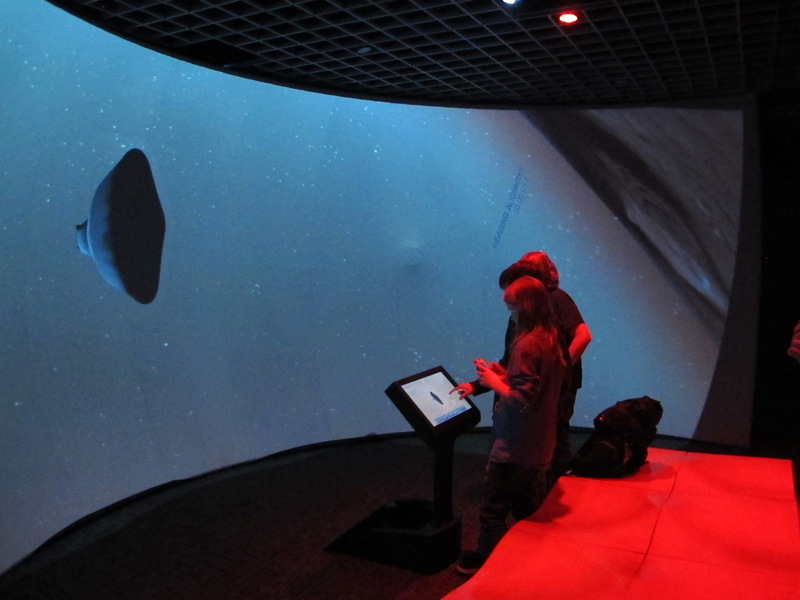 A 23-foot wide Elumenati OpenDome panoramic screen sets the stage for the Science Panorama at the NCMNS Nature Research Center. 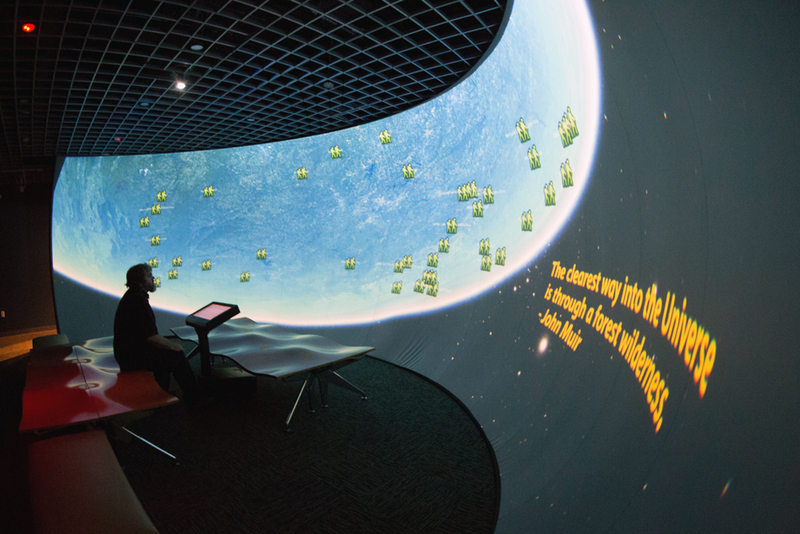 "A single projector in the ceiling uses our OmniFocus fisheye lens, so you walk in and are surrounded by dynamic and compelling imagery, and you don't really see where it's coming from," says McVicker. This unobtrusive technology contributes to the sense of immersion, and it’s highly efficient compared to the multi-projector solutions often used to fill a screen this size. 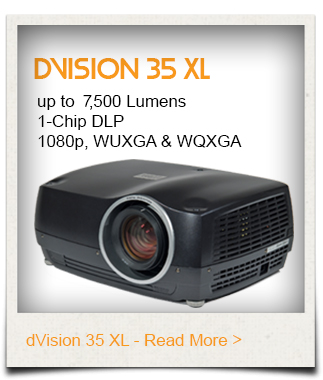 Elumenati chose Digital Projection's (DP) dVision 35, 1-chip, WQXGA, DLP projector for the museum installation. 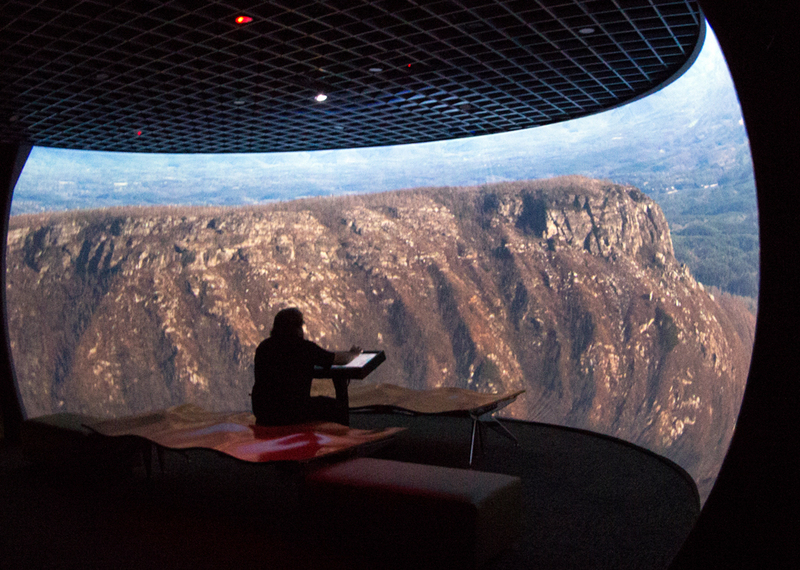 “With the WQXGA projection system we were able to use a single-channel projection system and put almost as many pixels on the screen as a similar installation using multiple projectors," McVicker says. 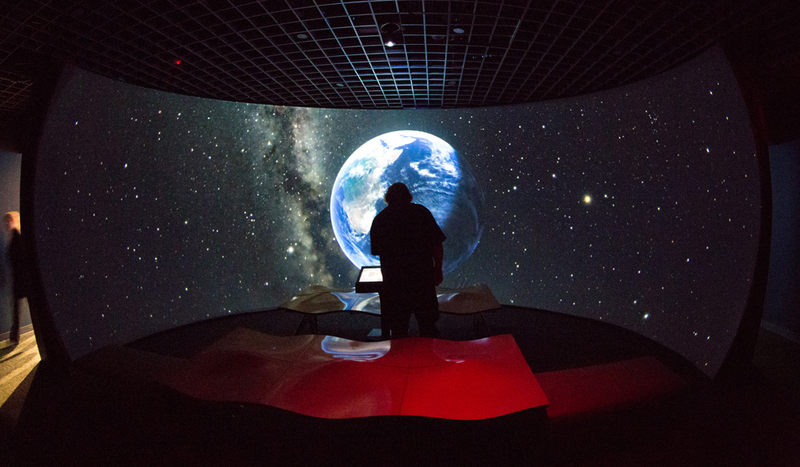 "We chose to work with Digital Projection because their products have been extremely reliable over the years." "Our design philosophy leans towards simplicity, creating systems that are both elegant and efficient," says McVicker. 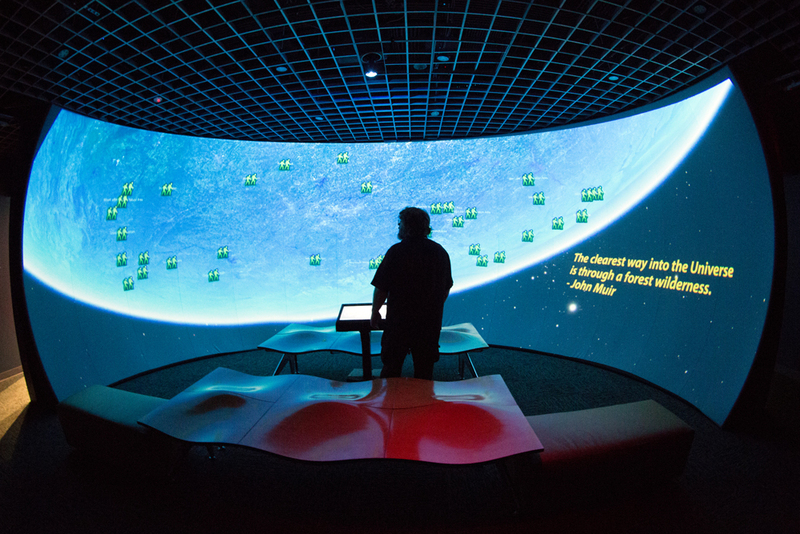 "Using a fisheye lens has a lot of practical and pragmatic benefits over multiple projectors," among them, eliminating edge-blending, calibration between projection channels, and creating multiple content channels. This simplifies content creation, and the overall system is easier to maintain. 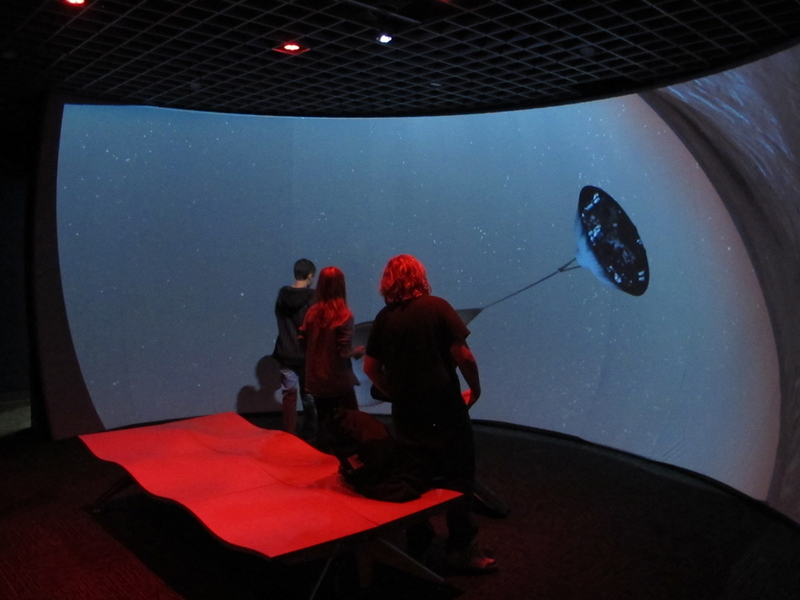 "In an immersive environment, you have this experience of being transported to another place—whether you’re traveling through space, different locations around the globe, or even underwater," says McVicker. 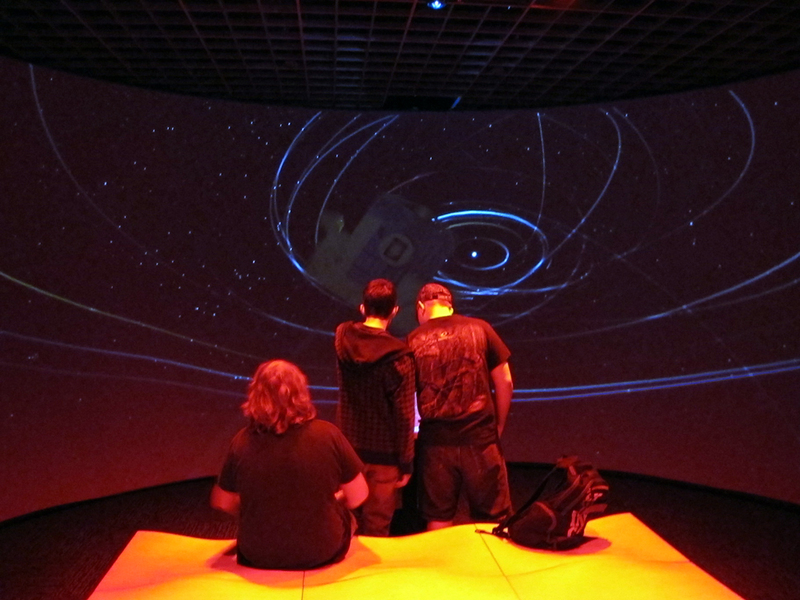 The Elumenati team collaborated with the museum on content, providing a combination of software tools to deliver the experience. 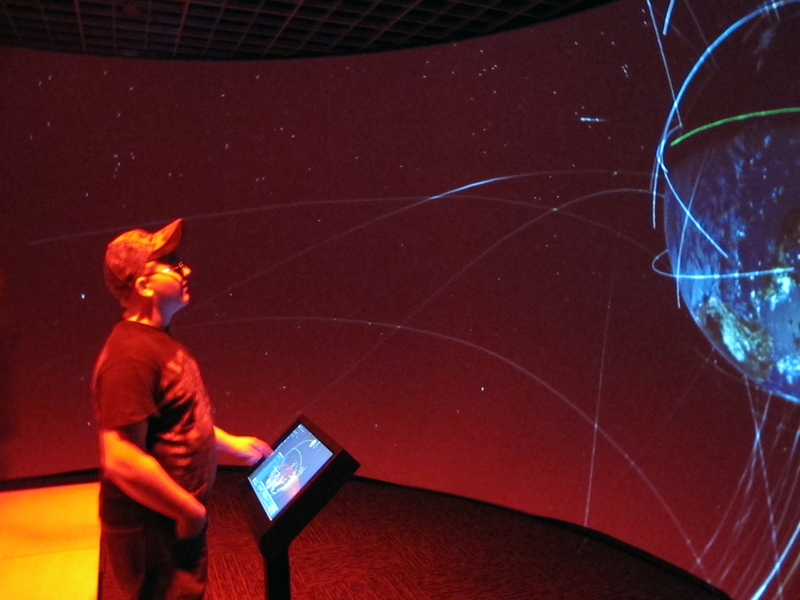 From the interactive touchscreen kiosk located in front of the 23-foot panorama, Elumenati's WorldViewer enables museum visitors to understand global processes and then explore their local impacts. At NCMNS, one interactive story looks at hurricanes from the global perspective using a movie created by the American Museum of Natural History, then stitches together photos from the North Carolina State Archives to show the impacts of historical hurricanes on the state. Another story, “Earth As Art,” looks at images from LANDSAT’s 40 years of Earth observation. 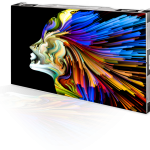 Elumenati's WorldComposer is the authoring tool used to make data-based content interactive. "It's like a media mashup tool. It lets you use a ton of existing spherical data from sources like NASA and National Oceanic and Atmospheric Administration (NOAA) to look at datasets on an interactive, virtual globe, and then geo-locate pieces of content around the globe that you can zoom into and explore." says McVicker." The information displayed is more than just fun and educational. "It's a great way to keep programming current with science stories as they are happening in the news," explains McVicker. McVicker says, "This museum is really leading the way. 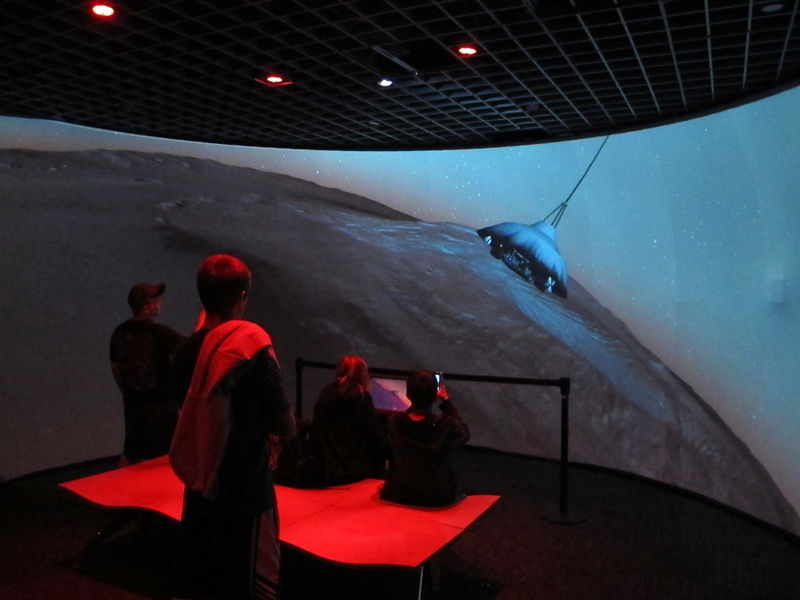 It’s one of the best examples so far of incorporating more traditional exhibits with cutting-edge digital technology." The high resolution, coupled with good color and contrast, delivered by a single, DP dVision 35 projector combined with the Elumenati 500 series fisheye lens, McVicker says, "was really helpful to us to create a single-channel fisheye system with beautiful image quality." And that's only getting better. 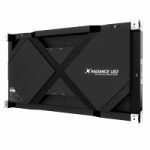 Elumenati looks forward to using DP’s new 4K Insight Laser projector. 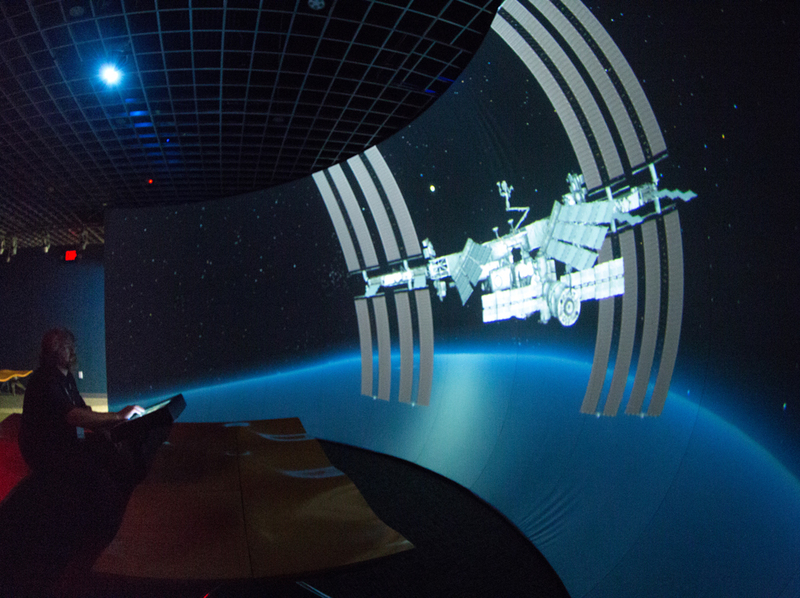 "This is going to enable us to put really high-resolution images in single-channel installations, and fill even larger domes and panoramas with our multi-projector fisheye systems" says McVicker. "They've [DP] continued to be open to engineering collaborations, allowing us to build projection systems with optimal image quality." Technology enables science education. 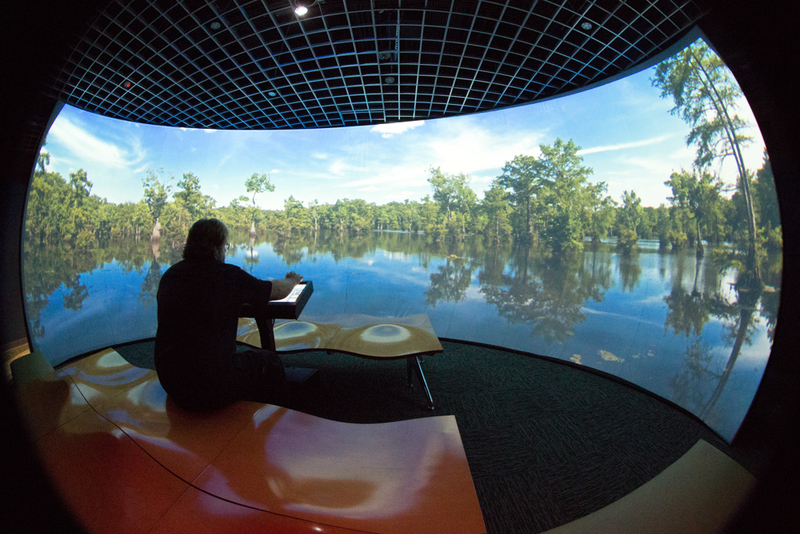 "What we often say about the power of immersive and interactive environments in science education is that you go from the 'wow factor' to the 'AHA’ factor.' They’re not just very cool and attention-grabbing, they’re also very effective teaching tools. 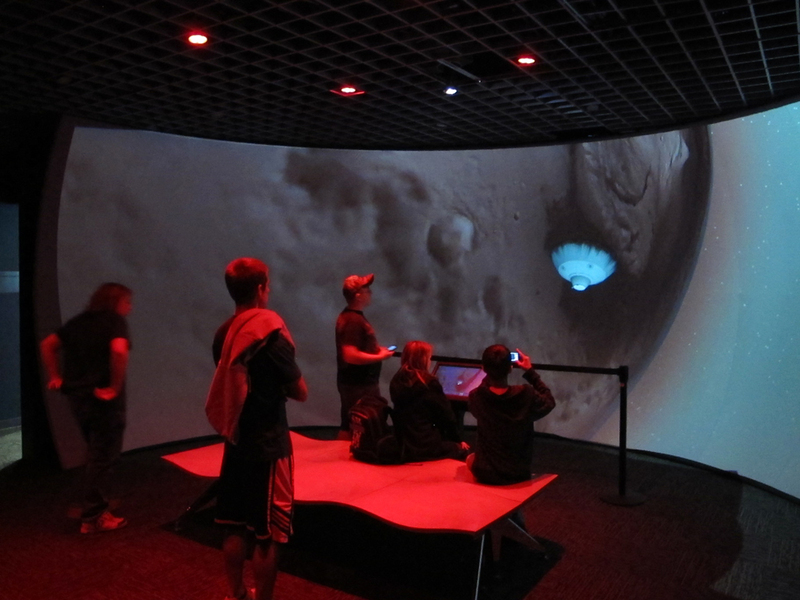 Visitors walk away with a exciting and memorable learning experience," concludes McVicker.